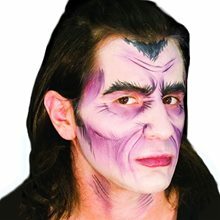 Vampire Lord Makeup Kit.Includes: Dead guy Grey, Undead Purple and Black cream makeup, Professional synthetic brush, Colorless powder, Makeup sponge and Powder puff.When only the best will do. 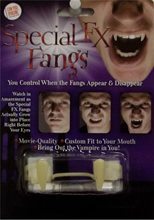 Professional quality special fx make-up used in the film and theater industry. We give the easiest most realistic and the most stunning bang for your buck. 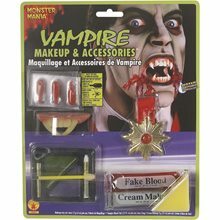 EZ Makeup FX Vampire Kit Includes Dead guy Grey, Undead Purple and Black cream makeup, Professional synthetic brush, Colorless powder, Makeup sponge and Powder puff. 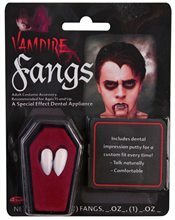 Pierced Vampiress Makeup.Includes: 5 piercings, 3 color paint tray, brush, sponge, liquid latex and black pencil liner. 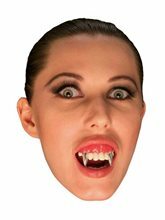 *Costume and Accessories Sold Separately.Complete your vampire, punk, rocker or evil costume with this Pierced Vampire Makeup. 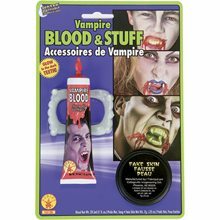 Kit comes complete with 5 piercings, 3 color paint tray, brush, sponge, liquid latex and black pencil liner. 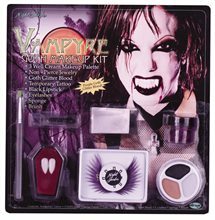 Goth Vampyre Makeup Kit.Includes: Eyelashes with adhesive, glitter tattoo, 3 color makeup tray, black lipstick, makeup sponge, fangs with denture putty and brush.Vampyre makeup kit includes eyelashes with adhesive, glitter tattoo, 3 collar makeup tray, black lipstick, makeup sponge and brush. 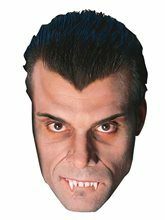 The perfect addition to any vampire costume this season!